Saying as you all seemed to enjoy yesterday’s fun facts so much I decided to bring you a second helping today! 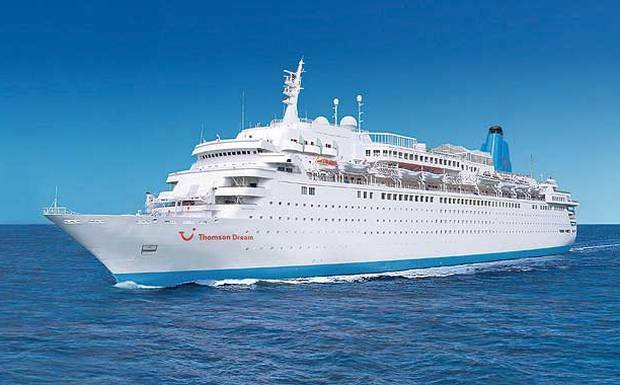 Thomson Cruises, Thomson Dream started life in 1986 as MS Homeric for Home Lines. She was then sold to Holland America Line in 1988 and renamed MS Westerdam, next she moved on to Costa Cruises and after being lengthened by 121ft was renamed Costa Europa. She currently sails with Thomson Cruises on a ten year charter from Costa Cruises. TUI Cruises, Mein Schiff 1 was originally Celebrity Galaxy and Mein Schiff 2 was Celebrity Mercury. Mein Schiff simply means ‘My Ship’. Costa Serena, Costa Cruises flagship and sister ship to the Costa Concordia, featured in a National Geographic Channel 6 part series in 2009 called ‘Cruise Ship Diaries’. – It was quite good too just for any of you that didn’t see it, you might be able to find re-runs at some point. Hapag-Lloyd’s, MS Europa was named ‘Best Cruise Ship in the World’ for 12 consecutive years by World-Ranking and Berlitz. 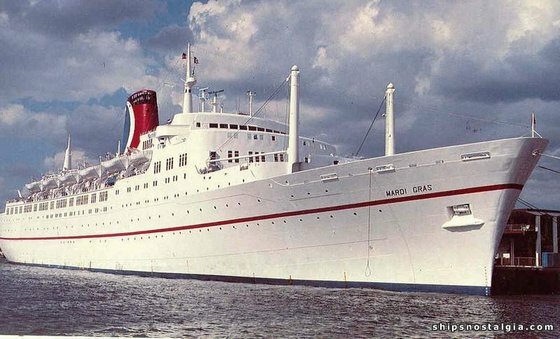 The first ever cruise ship to sail for Carnival Cruise Lines back in 1972 was named Mardi Gras and she first entered service in 1961 as RMS Empress of Canada. She was also I am proud to say, built by Vickers-Armstrong in the very city in which I live! Newcastle Upon-Tyne. The inaugural sailing of Mardi Gras wasn’t too much fun as she ran aground on a sandbar just outside the Port of Miami. RMS Queen Mary 2 is the only ocean liner in the world still in active service and the only vessel to offer regular transatlantic sailings between Southampton and New York. Norwegian Sky was originally ordered by Costa Cruises as Costa Olympia. Seabourn Pride was the first vessel to enter service for Seabourn Cruise Line back in 1988. For something non ship related did you know that Ted Arison actually founded Carnival Cruise Line and Norwegian Cruise Line? Ted Arison was the father of Micky Arison who today is Chairman of the Board for CCL. Ted founded Norwegian Caribbean Line (now known as Norwegian Cruise Line) back in 1966 with Knut Kloster but in 1972 branched out and began building the empire that is now Carnival Cruise Line. So there you have it, round 2 of the fun facts. I shall promise to bring you more very soon! Not quite sure what you mean by: “RMS Queen Mary 2 is the only ocean liner in the world still in active service”. What does one call all those other ships???? Hi Chuck 🙂 Thanks for the comment! What are you referring to with “all those other ships”? Do you mean as in Cruise Ships? If so, that is exactly what they are called. They are not classed as Ocean Liners, as they don’t go straight from point A to point B which is what the original purpose of an Ocean Liner was. I.e. Transatlantic from Southampton to New York.